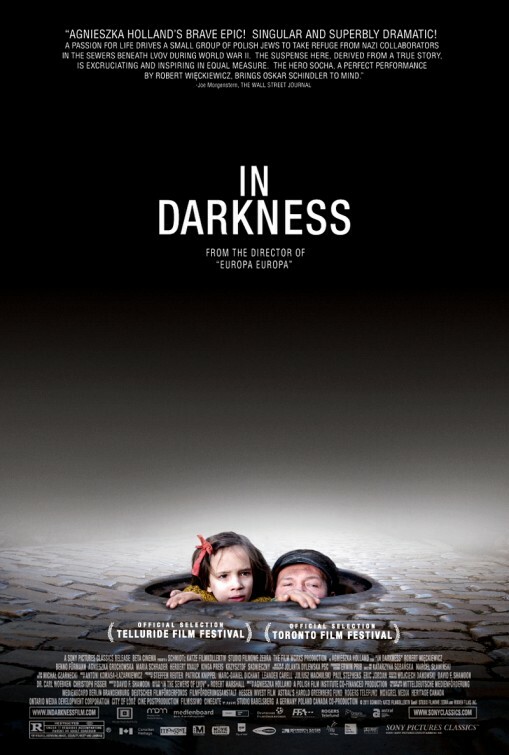 Clocking in at 144 minutes, EUROPA EUROPA director, Agnieszka Holland’s latest, and Best Foreign Language Oscar nominee, IN DARKNESS, is no easy journey to endure, especially if you have any difficulty with dark, cramped spaces. 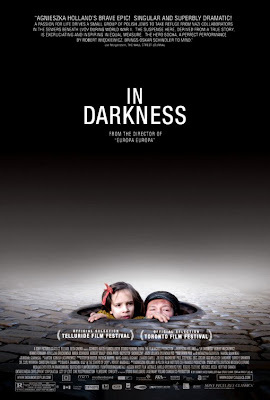 This is the story of what are now known as Socha’s Jews, a group of less than a dozen people who hid in the sewers during WWII in Lviv, Poland. Leopold Socha (played on film by Robert Wieckiewicz), a sanitation worker, helped them at first for money, but as time progressed, 13 months of time, he comes to know a more humane side of himself. By taking to the sewers, Holland has crafted a frank, honest look at humanity’s ugliest period.